Operating for 13 years, Optical Ocean Sales, LLC is a world-wide leading provider of retail underwater photography equipment and is looking for a motivated, self-starting individual with a passion for diving and photography to help it grow further. 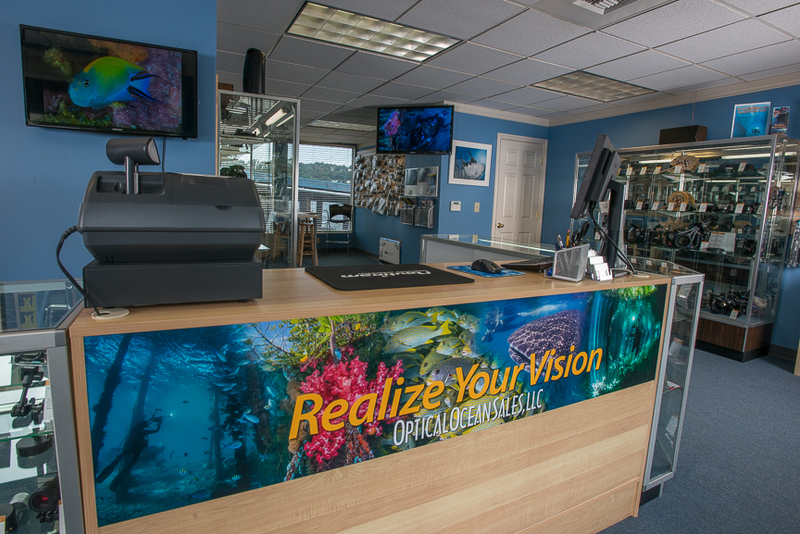 We are a retail seller of cameras, housings, lighting and accessories to a diverse, world-wide customer base of scuba divers in our retail store, via phone orders, and online through our website. We also lead underwater photography expeditions all over the world. Currently we are seeking a sales/shipping associate to joint our growing team (see Job Description below). As a small business, we all wear a lot of hats, which means your work environment is never boring! The successful applicant must be an active, certified diver with demonstrated photography knowledge and experience. Must have customer sales and service skills and experience, be detail-oriented and personable with customers. We don't wear suits, but expect our staff to portray a professional appearance. The sales person must have good computer and writing skills (Windows 7). Some knowledge of Quickbooks and web ecommerce systems and social media is a plus. We will train the new person in sales and our computer systems during their probationary period. Optical Ocean Sales is centrally located on beautiful Lake Union in Seattle, with easy bus access and parking. The position is part to full-time, 20 hours a week. The associate will need to be available to work some Saturday afternoons. We can be somewhat flexible as to hours and days. We offer our employees the ability to purchase discounted equipment from our many vendors through Key Man programs and company discounts. Some demo equipment is also available. Depending on your experience, travel with us is a possibility. Pay depends on experience and abilities. There will be salaray review after a probationary period. Sick pay is earned at a rate of 1 hour per 40 hours worked. There is 1 week of paid vacation after a year. Please email a resume, and links or samples of a few of your best underwater photos. Write us and convince us why you would be the best person to work in our fast-paced, fun, underwater photography business. Please NO phone calls, or drop-ins. You will be disqualified.